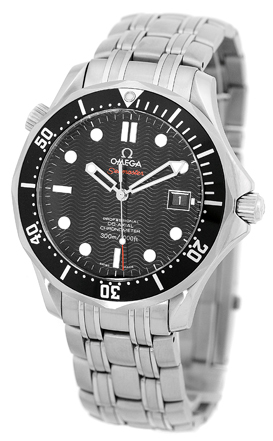 Gent's Stainless Steel Omega "Seamaster Professional 300m". 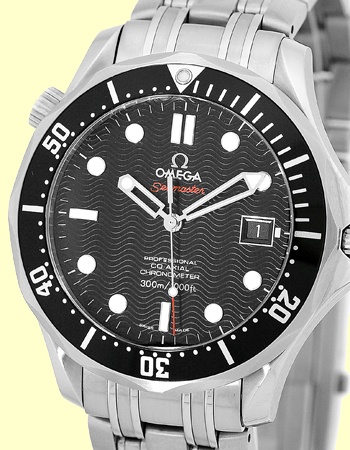 Black Wave Pattern Dial with Luminescent Markers, Sweep Second Hand, Date Indicator. 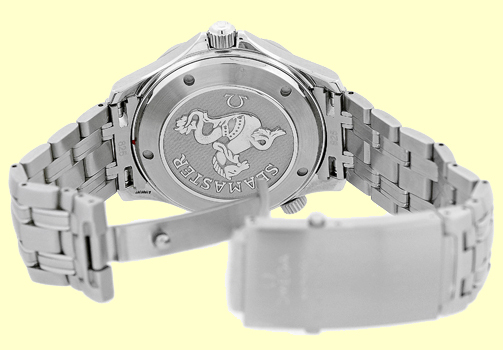 Stainless Steel Rotating Bezel with Black Insert, Helium Release Valve and Sapphire Crystal. 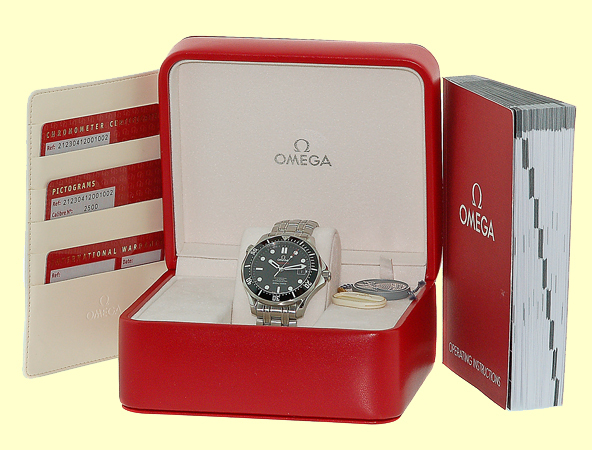 Matching Stainless Steel Omega SeaMaster Professional Fold-Over Clasp Bracelet.